Blessing of Might: Did Blizz make a game modification in response to ME? Did Blizz make a game modification in response to ME? So why do I think there's even a remote possibility that I influenced this blue post in the least?... Grab a beer, sit back and listen to my Tuesday evening. So I log in Tuesday night looking for either a 25 man OS or VOA.... I see a VOA group is up and get the invite. Wintergrasp is starting in about twenty minutes, fortunately this is a quick raid so we should be fine. Here's how the raid went down. 1) Take the usual few minutes for everyone to get there, while we wait the trash is cleared. I show up about half way thru the trash run. 2) Shortly after the 15 minute WG warning we start on Archavon, but my cries of "buffs please" go unheeded and all I've got on is my blessing of might.... It seems that no one took the time to buff the late comers so half our raid was unbuffed. 4) We all res, and reset with everyone getting buffed now.... And restart Archavon with 4 min 30 seconds left. 5) At about 100k health left we get a warning that "This raid is scheduled to reset in 30 seconds"... We DPS the guy down but I die... I get a rez and quickly loot my two emblems of Valor... and then Archavon DISAPEARS! Yep, no one got any loot and some people haven't take their emblems of Valor yet. 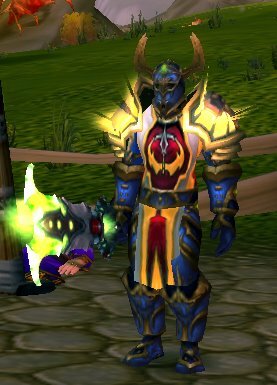 I can painfuly verify that even if you drop the boss before the raid resets he will de-spawn and you will get no loot.... Now there was a nice chestpiece I would have liked to get, and only 2 other paladins in the raid (not sure their spec). days for us to contact you with the conclusion of our investigation. as it contains essential information needed by our character specialists. So far nothing else in terms of a resolution, but it is interesting that two days after I put a ticket into Blizz about this and they agree to look into it a new blue post is issued that would prevent this from happening again! Well there you go, my very very very tedious claim to fame :).... and stupidity, because as someone already pointed out, the smart thing to do would have been to leave the group when I saw less then 5 minutes left before the reset... Of course that would have royally pissed off 24 other people that I might meet again in group, but that's a discussion for another time.